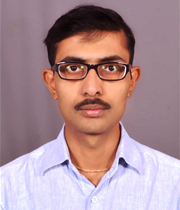 Jainendra Shukla completed his Ph.D. in excellent grades with Industrial Doctorate Distinction and International Doctorate Distinction from Universitat Rovira i Virgili (URV), Spain in 2018. He is the recipient of the prestigious Industrial Doctorate research grant by AGAUR, Government of Spain in 2014. He is experienced in human robot interactions and affect recognition using physiological signals. He is enthusiastic about empowering machines with adaptive interaction ability that can improve quality of life in health and social care. His research has been disseminated in several journals and conferences of international reputation, including Biomedical Signal Processing and Control, IEEE International Symposium on Robot and Human Interactive Communication, International Conference on Social Robotics. Earlier, he obtained his M.Tech. degree in Information Technology with Specialization in Robotics from Indian Institute of Information Technology, Allahabad (IIIT-A) in 2012 and B.E. degree in Information Technology from University of Mumbai in First Class with Distinction in 2009.